We service across Alberta, British Columbia and provide complete security solutions. From Security Guards, Mobile Surveillance Systems, GPS Tracking etc. we have handled thousands of cases over the years. We believe that our experience and reputation speaks for itself. Our newest solar solution, the MSU HYBRID, provides a flexible and energy efficient surveillance solution. GPS Provides Professional Security Officers who have the training, experience and profile to ensure that your event is safe and secure. GPS Security Group provides Fire Watch to some Fire Departments in Alberta to effectively report fire. Our Guards are trained in how to deal with Emergency Medical System (911) Situations and when and how to provide CPR for adults. 24/7 Video Monitoring. The advantage of a surveillance system is that it is constantly recording 24/7. NESA offered their expertise to secure and maintain security contracts for camp, facility and pipeline work. We provide delivering the services we have sold, securing the assets of our customers is our priority. Oil Sands of Alberta as the greatest buried energy treasure of Canada. 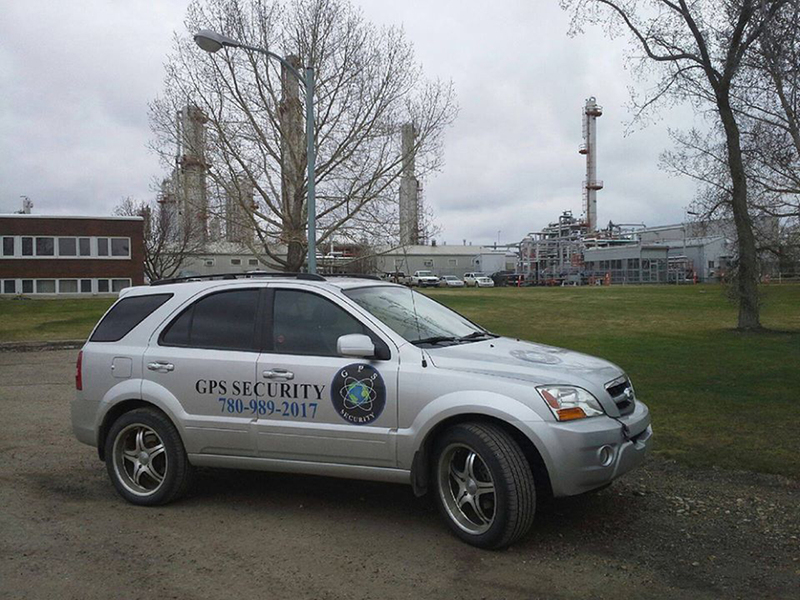 GPS Security Group is an oil sands security. Our network of crisis support specialists is trained to handle a range of high-risk scenarios, including conflict, strikes. GPS Security Group will Keep your facilities and people safe & secure at your remote camps. The security guard has a serious responsibility. It’s not like you see on TV. They do not get to sleep on the job. The safety of patients is the topmost priority for hospitals, clinics, assisted living centers and nursing homes. Throughout the Calgary and Edmonton cities of the province of Alberta, the GPS Security Group’s Mobile Patrol has a large presence. A retail outlet can be either be a small shop or a large store such as an arcade or a department store. A retail store is exposed to numerous threats and risks every day. Your construction site will have different kinds of tools, machinery and equipment kept together for various constructional purposes. When you are a part of a business, you are well aware of the risk factors involved. The ultimate result of a business failure is bankruptcy.